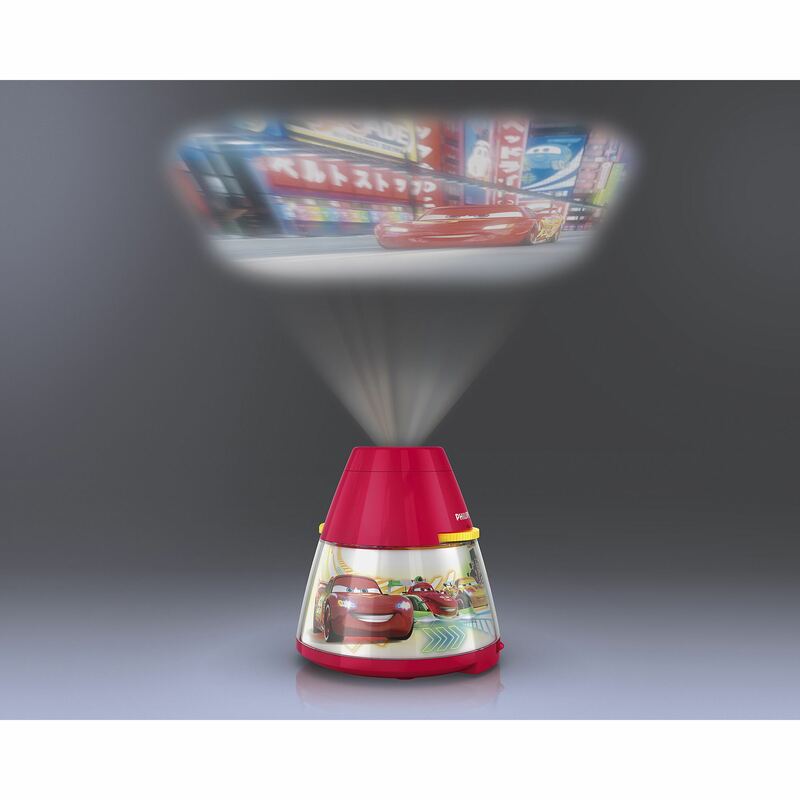 This Philips and Disney Cars night light and image projector will amaze your child with magical story telling. Turn one of the film wheels to project colourful fun scenes from Cars onto the ceiling or switch on the reassuring night light below. This Philips and Disney light for your child's bedroom creates an environment which encourages children to indulge in what they enjoy most – fun and creativity! A place where your child can study, play and sleep accompanied by their favourite Disney character. This light is designed to be safe for your child. 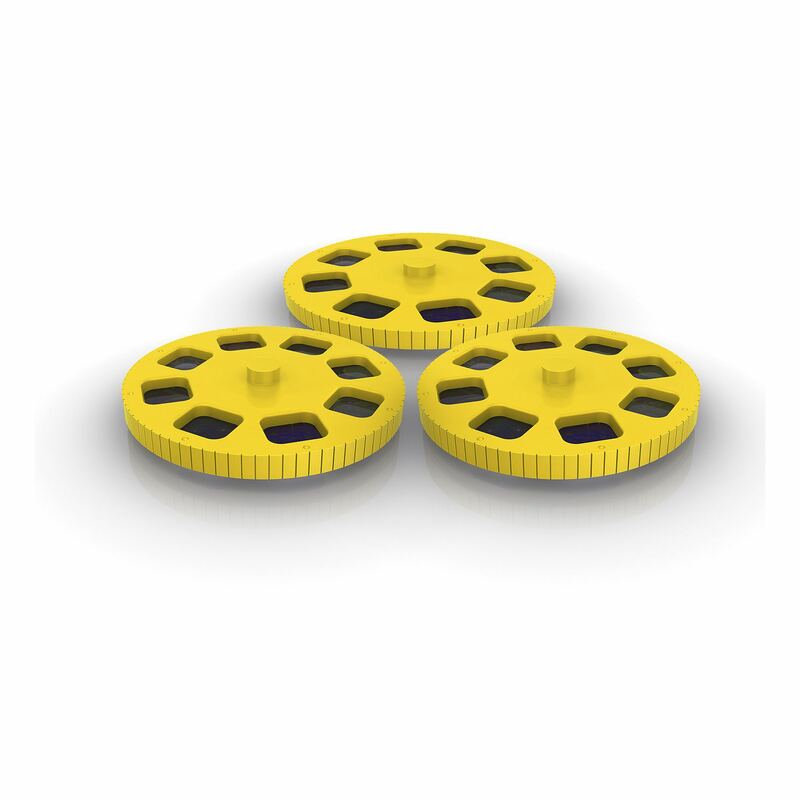 The LED technology, integrated into this light, is a uniquely developed solution by Philips. While instantly turned on, it enables optimal light output and brings out vivid colours in your kid's room. Light can have different colour temperatures, indicated in units called Kelvin (K). Lights with a low Kelvin value produce a warm, more cosy light, while those with a higher Kelvin value produce a cool, more energising light. This light offers warm white light for a cosy atmosphere. 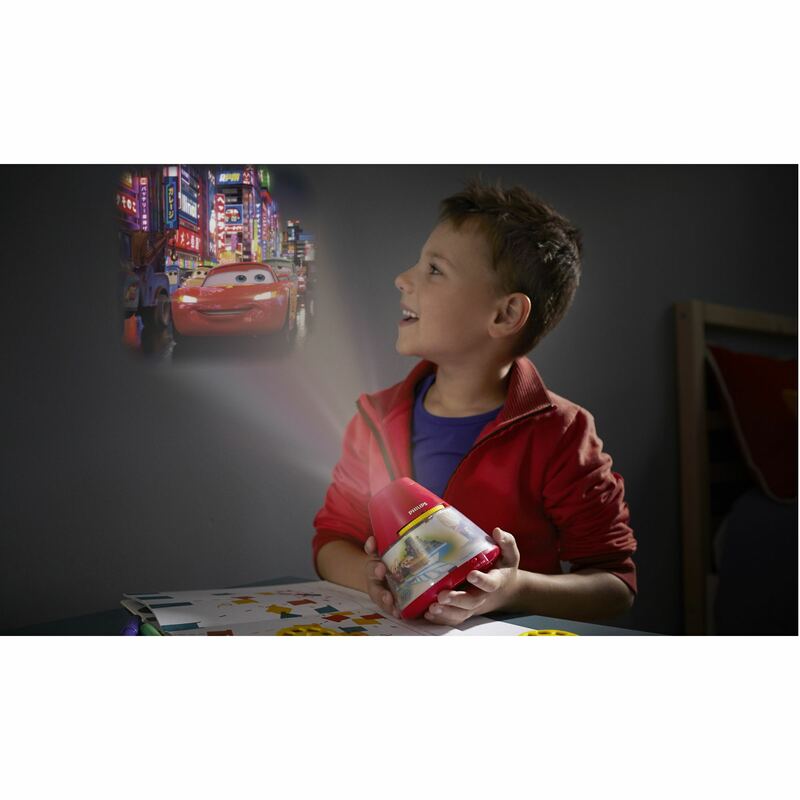 This Philips and Disney portable light for your child's bedroom combines a night light with a magical image projector. 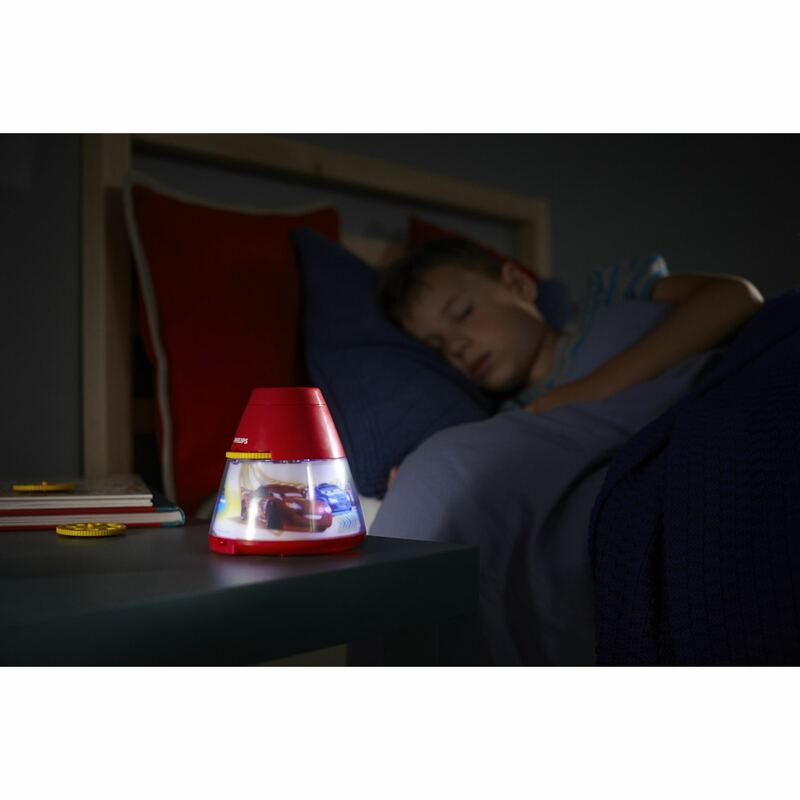 The night light makes your child feel safe at night, while the projector brings your child's favourite Disney characters to life on the wall or ceiling. 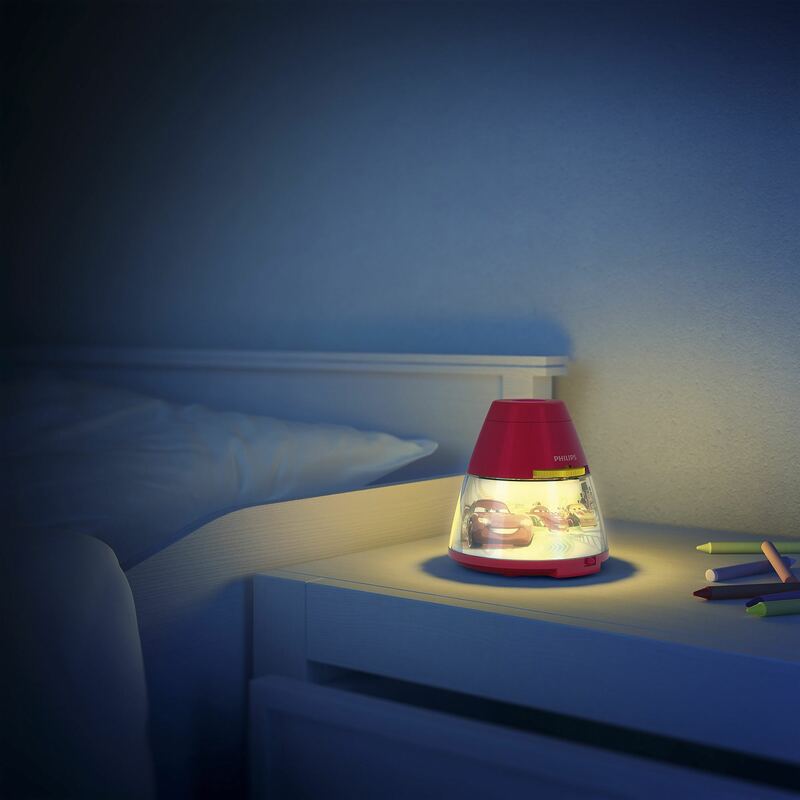 This unique 2-in-1 light brings bedtime routines and story telling to a higher level. 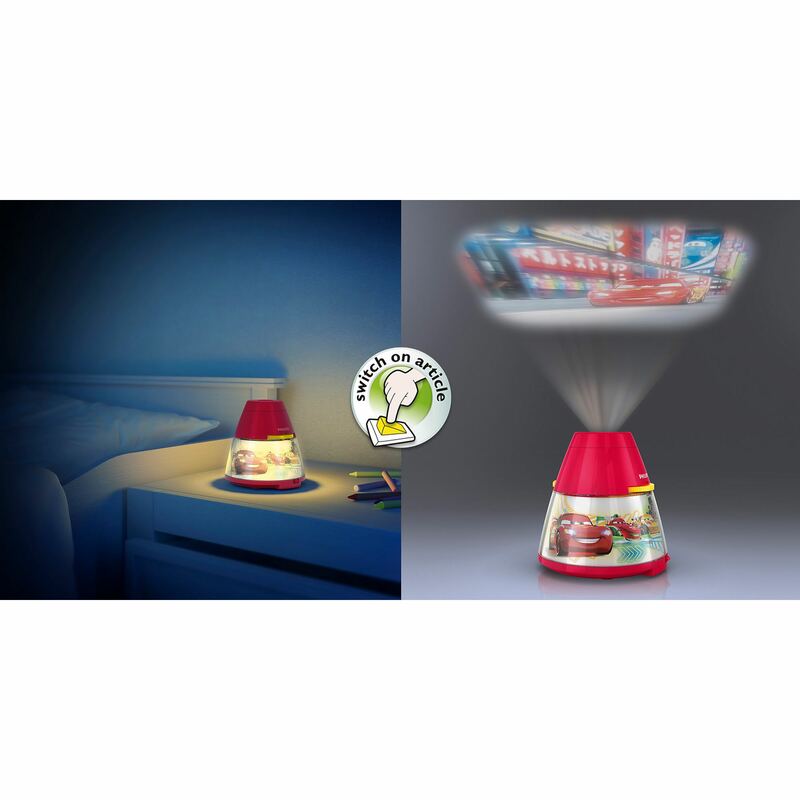 With the two-way switch integrated on the lamp, you can easily switch between the night light and the magical image projector. 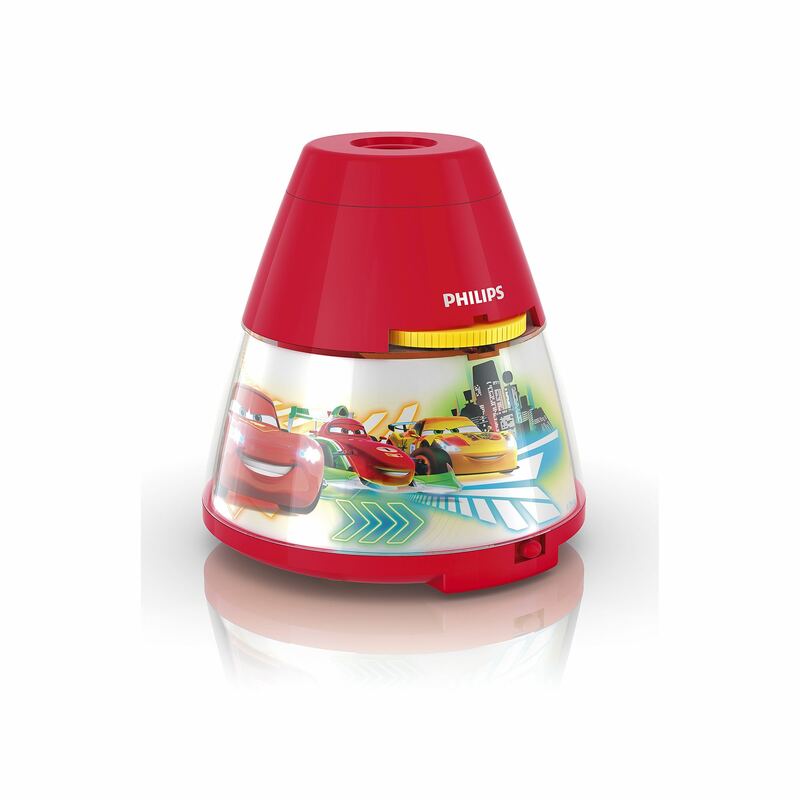 This Philips and Disney light comes with 3 wheels, each consisting of 8 different images to stimulate your child's imagination.